Hiro Yamagata is a prominent physicist whos famous for his laser and light performances and installations. In the days of commemoration of St. Petersburgs 300th anniversary Yamagata and his artistic team held a laser show on the Neva river. The website provides an account of this and other projects by Hiro Yamagata. 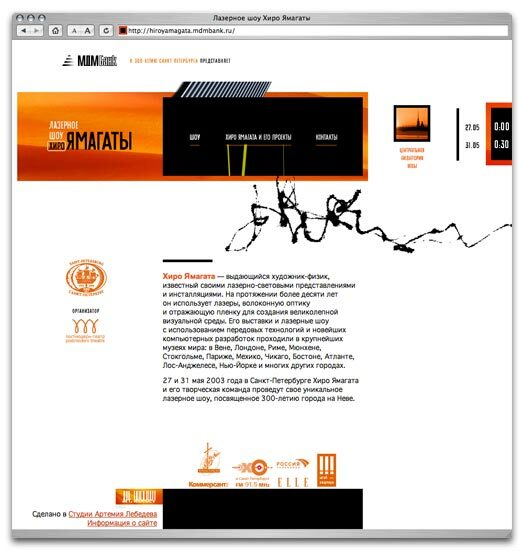 The website was ordered by MDM-Bank.